More than many other legal disciplines Private International Law draws its inspiration from its history. The complexity, the technicality characterizing it, but also a continuity that no euphoria of legislation has succeeded to compromise, urge to exploit the treasure of a past gathering both the constructive efforts of an untiring doctrinal reflection and the lessons of a constantly renewed experience of concrete cases. The understanding of the problems that the plurality of legal orders poses to private law relationships, and of the methods and solutions employed to tackle them, come at this price. This book is conceived to meet this need, addressing it with what can only be called a natural humbleness. It would have been too daring to aim at an exhaustive account of the innumerable hesitations and temerities of a doctrine and a practice experienced through an abundant casuistry. 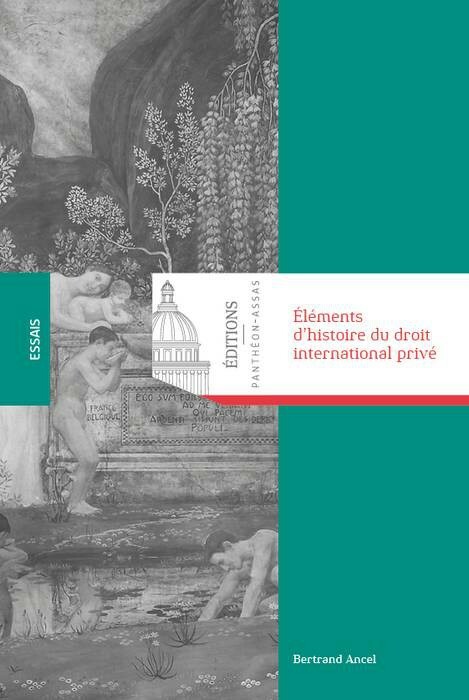 With the hope of providing useful guidance in the understanding of today’s Private International Law, this monograph endeavors to present elements constituting the milestones that marked and shaped a rich and complex evolution. Bertrand Ancel is Professor Emeritus of the University of Paris II Panthéon-Assas where he taught civil law, comparative private law and private international law, and where some fifteen years ago he set up the teaching of the history of Private International Law. The book Éléments d’histoire du droit international privé has just been published by LGDJ.